Our Best New Gadget To Keep The Whole Family Happy! We hope you’re enjoying the Easter holidays this year, even though the weather has been unpredictable to say the least. Can you believe we’ve had snow in April, as well as the usual Spring showers, mixed in with a tiny bit of sun! Things seem to be brightening up now and hopefully we’ll be able to get out and about for some of the rest of the holidays. 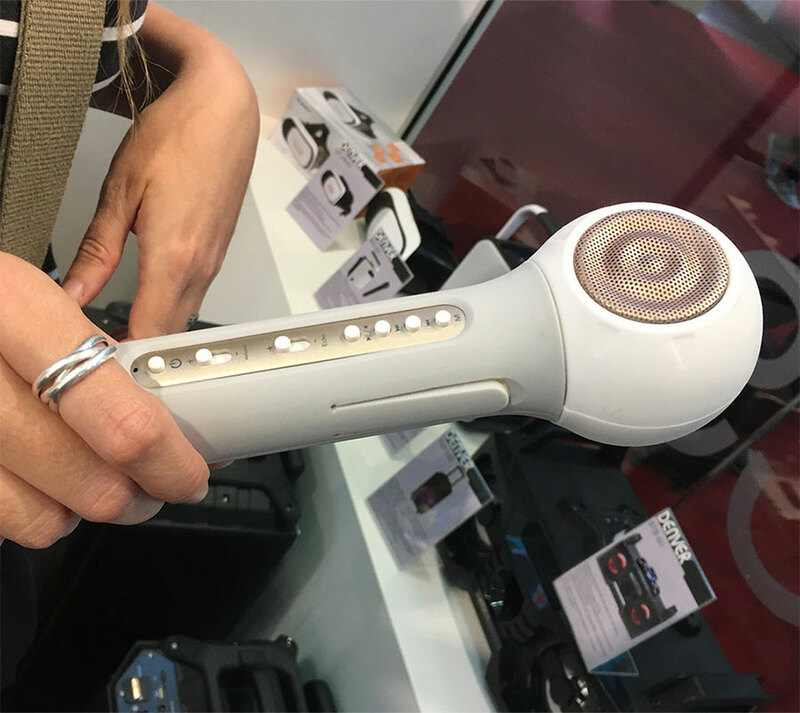 We thought we’d share our newest favourite gadget with you – our Denver KMS-10 Bluetooth Karaoke Microphone – for those days inside when we’re trying to keep the little ones entertained. Let’s not forget us big kids too – these little beauties are hilarious at family get-togethers. We’re seeing all the budding X Factor contestants come out of the woodwork in the kitchen at parties! The Denver KMS-10 white Bluetooth handheld wireless karaoke microphone comes in white, blue and pink; ideal for all the family. Stream your music or karaoke video audio from your iPhone, Android smartphone, iPad, tablet or any other Bluetooth unit through to the KMS-10 microphone. Sing along to your heart’s content using the amplified speaker & microphone. You can use the AUX In connection if you don’t have Bluetooth and save your favourite tracks onto a memory card. With a built-in rechargeable battery, USB cable and integrated loudspeaker, you and all the family can show off your singing skills, wherever you go! Enjoy the holidays and fun times with the karaoke microphone!